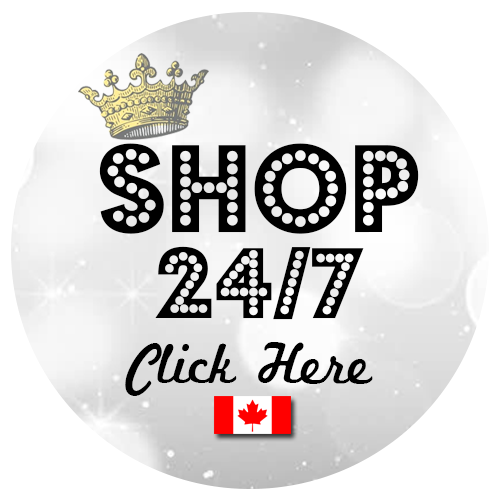 Thank you so much for choosing to shop in my Canadian Stampin' Up! 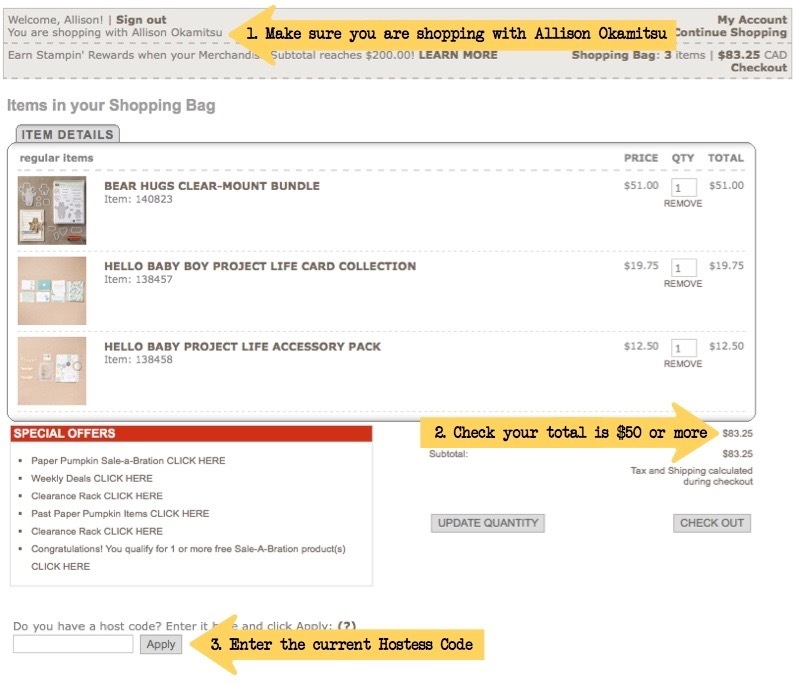 Online Store, and for selecting me (Allison Okamitsu) as your demonstrator. 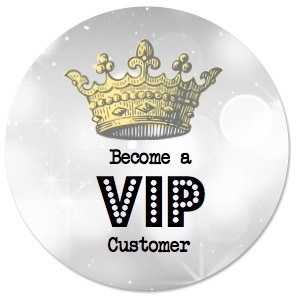 As soon as you place an order of $50 or more (before shipping & tax) and use the monthly host code, you become one of my VIP customers. 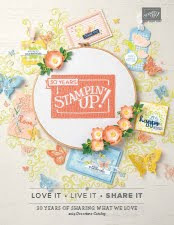 An exclusive invitation to my VIP Facebook Group where you'll have the opportunity to win Stampin' Up! products, get access to Facebook Live presentations, and meet crafty people from all over Canada. Once you order $50 you're automatically eligible to join this group and remain a member for the next six months. 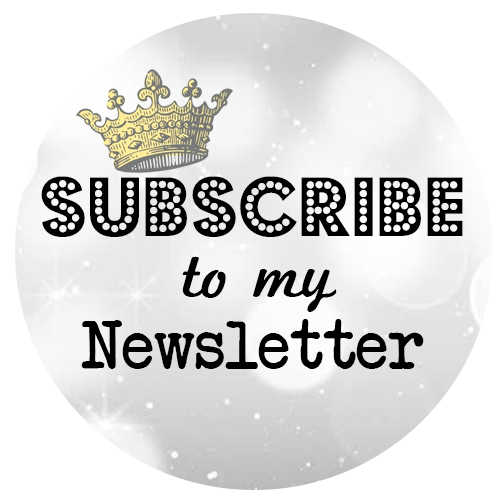 FREE bundle of 12 tutorials each month you place an order of $50 or more using the monthly hostess code. Reusable handmade card sent to you via snail mail for every online order. Need help with products? 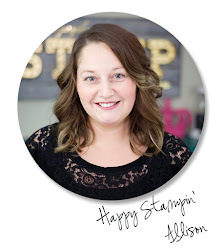 I'm a full time Stampin' Up! Demonstrator and my customers are my #1 priority. If you have questions, just ask. Have a big wish list? 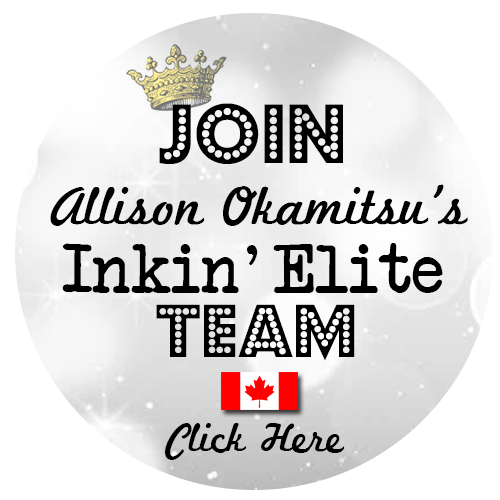 Become the ultimate VIP when you join my Canadian team, the Inkin' Elite. Click HERE for more info on this great opportunity to earn discounts and income! 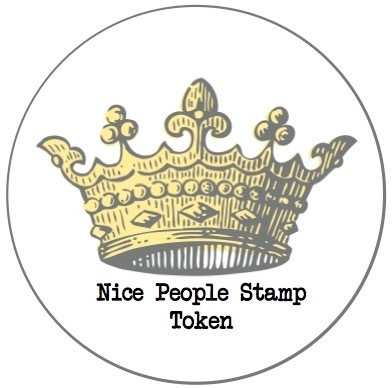 For every $50 you purchase (before shipping and tax) you receive 1 Stamp Token. Collect 8 Stamp Tokens and receive a FREE clear or photopolymer STAMP SET of your choice (valued up to $40). Ordering Online: Stamp Tokens will be mailed with your handmade card. In Person Ordering: Stamp Tokens will be placed with your order. Call or email me to redeem 8 Stamp Tokens for a FREE clear or photopolymer STAMP SET of your choice (valued up to $40). You must supply me with the date and order number that each Stamp Token was earned with. I've created a tracking sheet to help you. * Orders must be placed with Allison Okamitsu as your demonstrator. 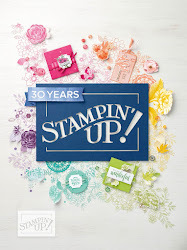 * Stamp Tokens are earned for each increment of $50 ordered in Stampin' Up! 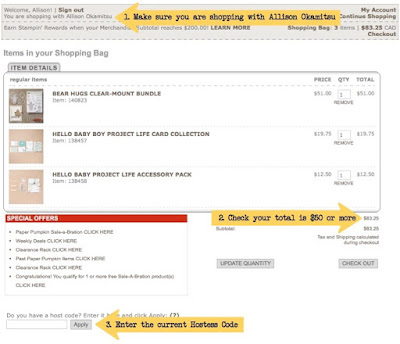 product (before shipping and tax). * In person and online class or event fees, and tutorial purchases are not eligible to earn Stamp Tokens. * Orders cannot be combined to earn a Stamp Token. * Stamp Tokens cannot be combined between individuals. * Stamp Tokens expire 1 year from the date they were earned. * Stamp Tokens are not retroactive. This program begins on April 1st, 2016. * I reserve the right to change this reward program at any time.